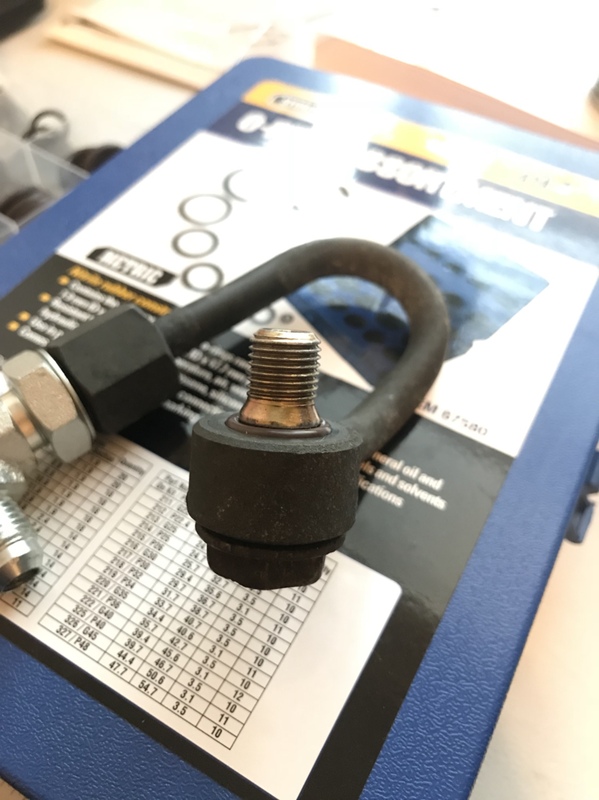 Anybody know where to get the O-rings used on the factory FC power steering line fittings? 3-hole rack. Tried search, called Mazdatrix, they said they've never heard of anybody needing them and didn't know where to get them. Really? My 30 year old O-rings don't seal any more, surely this has happened to someone before. Thanks in advance! Your best bet is probably going to be to measure the rings and then procure by size. My PS system is still dry. I'll try and remove mine tonight and get some measurements with a caliper. If I'm lucky, they'll be in my Harbor Freight o-ring kit lol. are you talking about the 2 o rings for the banjo bolt on the high pressure supply on the rack? i need 1 replacement O ring as well and have not been able to find OEM replacements or the actual size. I took some measurements using a standard caliper (i dont have a metric one). The banjo bolt OD where the O ring sits is .549". The Actual Oring approximate measurements are- OD- .715", ID- .548", and thickness- .088". I have been meaning to check the harbor freight o ring kit but have not had a chance. i will let you know if i find a replacement. My HF oring kit had an oring that fit the top (larger) oring okay, but was a bit too large for the lower. are they 2 different sizes? from the looks of it, the bottom o ring does not sit in the groove but sits above it which measures the same OD as the top O ring seat. If you are sure they are different sizes, then my measurements are for the top O ring. I'll double check, but I think the grooves on the banjo bolt are different. So i messed around with the upper o ring on the lower groove and it is slightly too big on both the OD and ID. I will see if i can find the correct size or take some more measurements and report back. I think i found a solution to the lower oring. 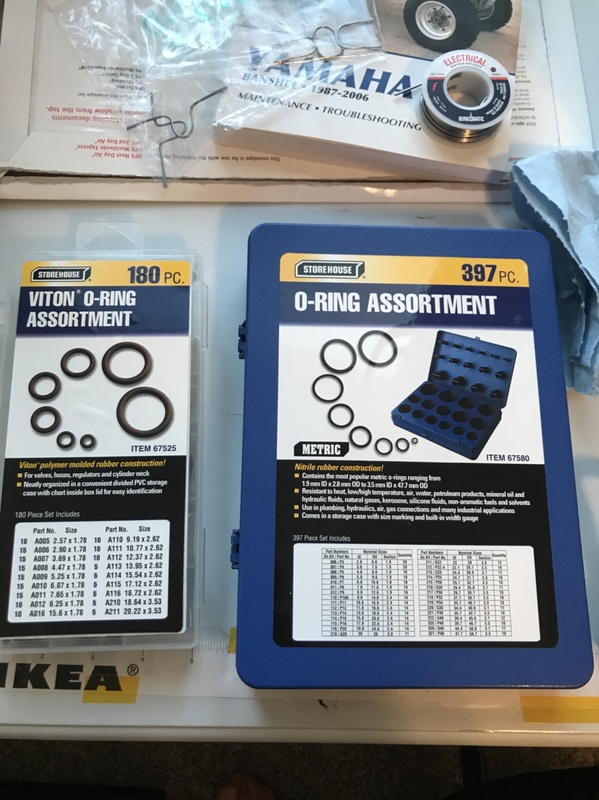 I bought both these kits from harbor freight and part number A112 from the viton kit will work for the lower o ring. For the upper, the closest match is part number 113 from the blue kit. This o ring is slightly larger but appears to still seat flush with some force. I am only running the HF lower one and will let you know how it works. Happy to report back that i have about 25 miles on this PS setup using the mentioned O rings and there are no leaks (knock on wood). feel free to hit me up with any questions if you still need help.